Has your restaurant become so popular that it has outgrown its small first location? If so, you may decide to move to larger real estate, introducing you to your next challenge: relocating your restaurant. 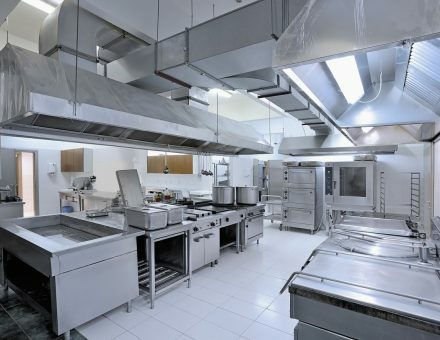 To ensure your restaurant relocation goes as smoothly as possible, you have a number of logistical things to work out. Namely, you need to move efficiently so that you do not lose much business as you switch to a new location. Follow these guidelines to help make your restaurant move less stressful and less costly for your business. You might move in the middle of the week so your opening day can be on a weekend, or you might choose to move on a weekend so you face less traffic on the road. You might also choose to move in the late winter when restaurant attendance lulls so that you can be back up to customer capacity in time to open your outdoor seating area in the summer. Decide what works for your business. Sometimes, you can save money on moving services if you choose less busy times to move. When you choose to move over a vacation break or holiday, the prices for moving go up. Once you know where you want to move, set a moving date and stick to the schedule whenever it is possible to do so. Having a concrete date in mind makes it easier for you to plan the move. It also makes it simpler to let your customers know your plans so that when they come, they are reminded consistently that you will be moving on a certain day. Post notices on your website and on your menus to make sure patrons see your upcoming moving date. If you plan and stick to your date, it also reduces losses in the restaurant itself. For example, if you have large orders of food come or if you alter your menu seasonally, you can order with the move in mind so you have little (if any) food waste as you switch to your new location. You can also let contracted food suppliers and delivery drivers know the upcoming date so you don’t have any late or missing orders. Start planning your move as far in advance as possible. If you know the move is coming up months in advance, you can prepare slowly. The earlier you announce the move, the longer your customers have to be reminded up the upcoming date. Planning the move for months in advance also gives you time to source new furniture and finishes for your updated place. Usually, new locations are larger, requiring more patron seating and additional furnishings. Even if you can’t move these items into the new restaurant until moving day, you can contact a moving company about using a temporary storage. Then, they can haul the stored items over before moving the things in the old restaurant. Even though you might bring as much as you can from your old restaurant, you might also explore the option of starting fresh with some things. For example, if your old restaurant had only five or six tables, and your new location has space for twenty or thirty, you might decide to sell your old tables and get new ones. Starting fresh reduces your need for packing and dismantling furniture, and it also allows you to use your current furniture until you close your old location. As a restaurant owner, you’ve learned to cut costs and work hard in order to make your business turn a profit. However, moving your restaurant should always require professional moving services. You have delicate equipment, dishes, and appliances that can represent thousands of dollars in investments. You also need to make sure that your tables and chair remain pristine during the move. Furthermore, your packing and moving need to be systematic and organized. Professional packers can pack and store things like wine glasses and your reserve alcohol from the restaurant bar; your fragile items will be protected from breaking when packed properly. Many moving companies offer insurance or guarantees against damages, which you won’t get if you do the move yourself. As you rely on professional packing, you can spend the time you need to keep your business running during this time of upheaval. You can coordinate new employee hiring and scheduling (larger premises means larger staff requirements), and getting the new location prepped for your grand re-opening. Be sure to have your professional mover tour your old restaurant and your new restaurant so you have a quote for the move as far in advance as possible. This way, you have time to work out your business costs to absorb the financial hit that comes from a move. If you’re looking for an experienced moving company to handle your restaurant relocation, consider Bekins. We’ll make your move simple and efficient.